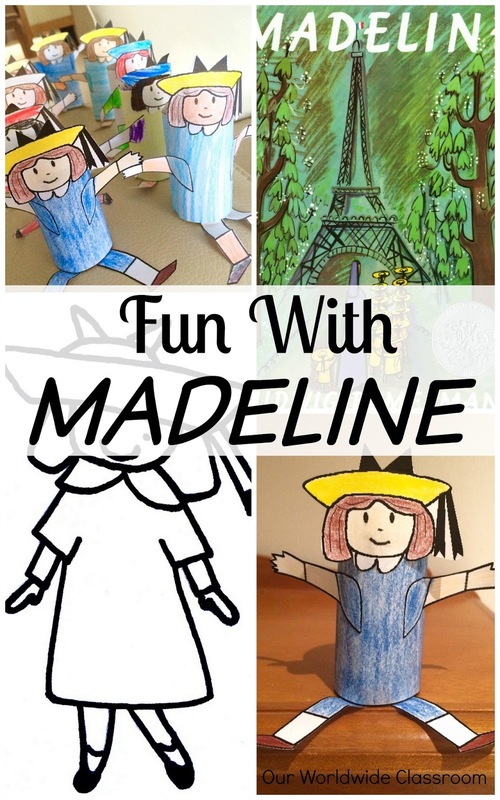 We are visiting France with our micro-school friends over the next few weeks so I hope to be able to share a few glimpses of some of what we all get up to. First off for my group was Madeline with the younger kids. No visit to France is complete without the reading of Madeline. I decided to look online for an audio visual as opposed to me reading. In the end I went with this one I found over at You Tube. I put together a quick and simple sheet for us to chat about the book and for the kids to record some of their thoughts. You can find the download link for this at the end of the post. We had some interesting discussions about what life might be like in a boarding school and found it quite funny how Madeline's hospital stay was for ten lengthy days! I found a cute, simple little paper craft activity to do. 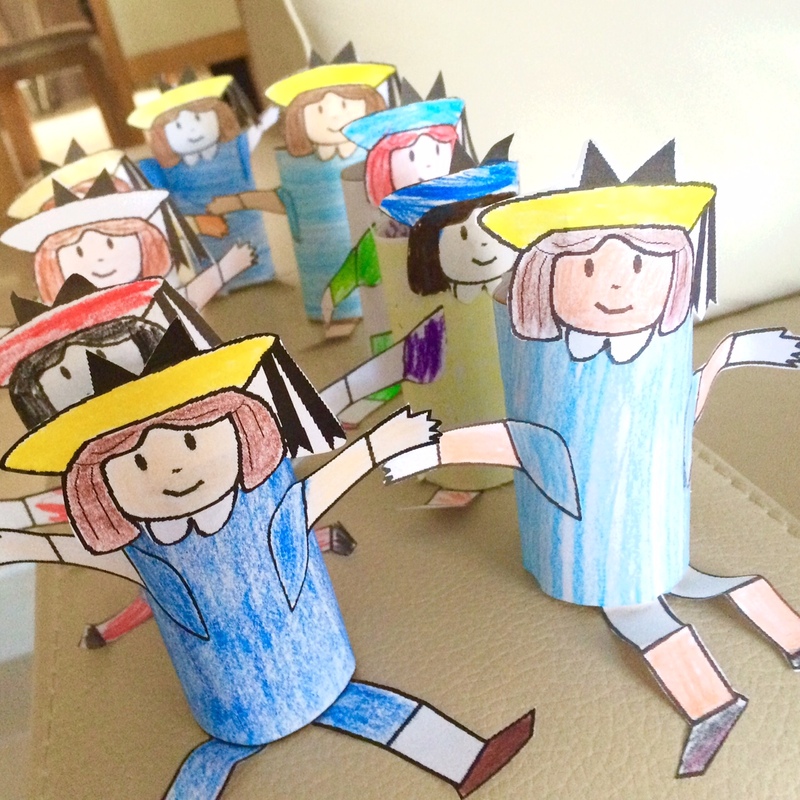 Whilst we coloured our little Madeline's we watched this longer animated version of the book. It's quite cute and pretty funny! We only had an hour having fun with Madeline and could have most definitely spent a great deal more time reading about and watching all of her adventures. 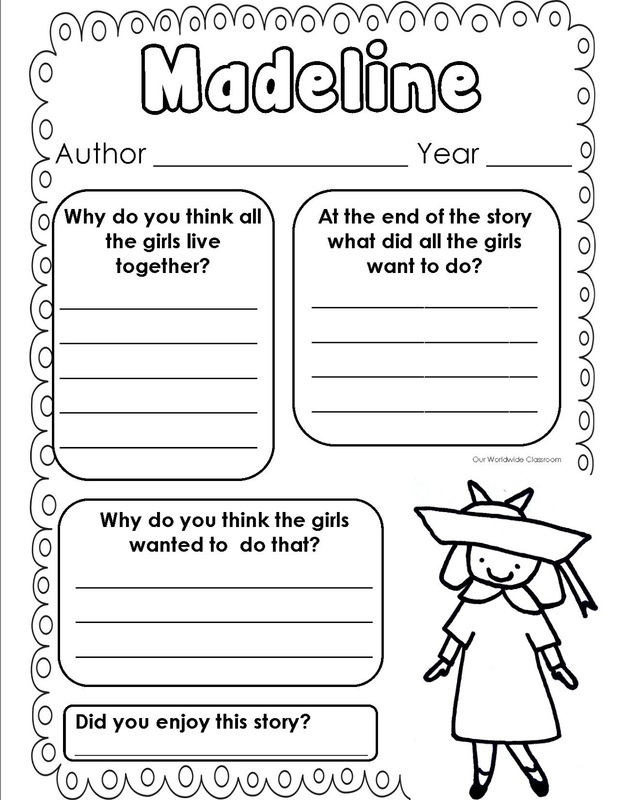 Would you like a copy of our reading response sheet? Please use this link to download a copy for your personal use. 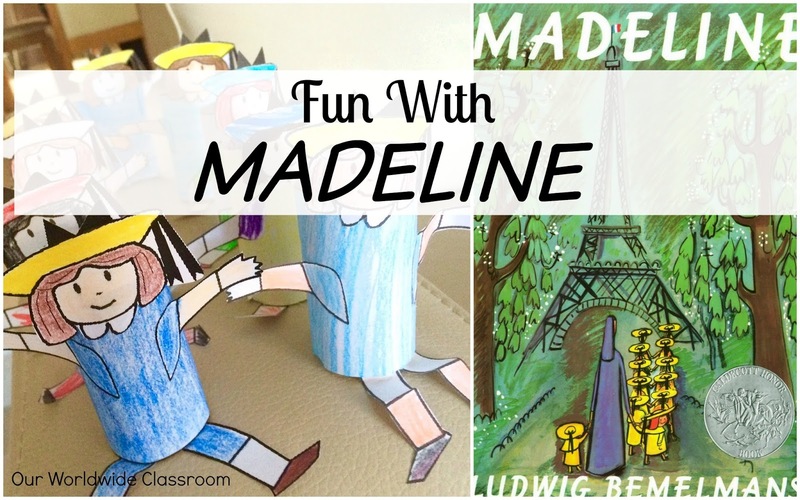 Follow Our Worldwide Classroom's board Book Units: Madeline on Pinterest. 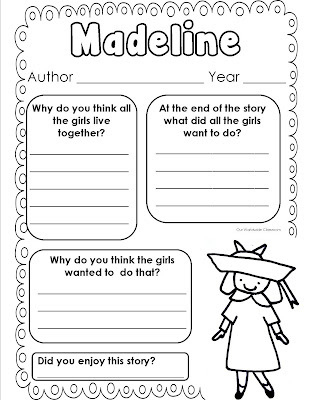 I love the reading response sheet, and am totally stealing Madeline to use when we get around to studying France in the near-ish future.